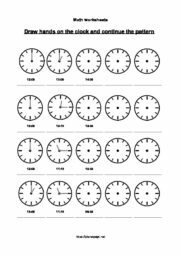 Learn how to tell time by converting different text representations into digital time. 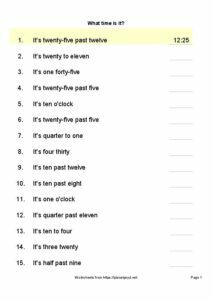 There are different ways we can tell time: we may use “o’clock”, “past” and “to”. 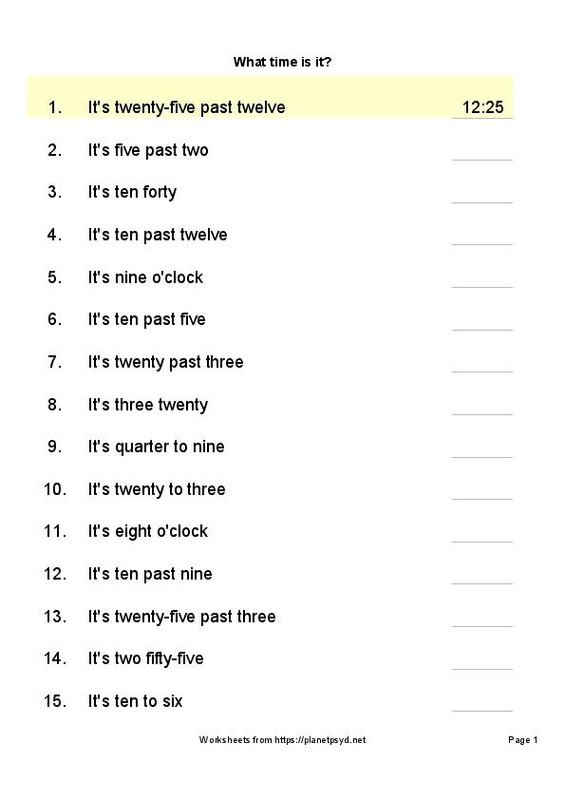 We may also tell time by reading the full numbers. 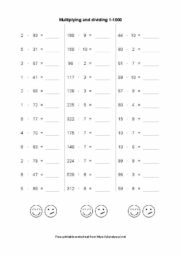 These worksheets have many different ways to tell time. 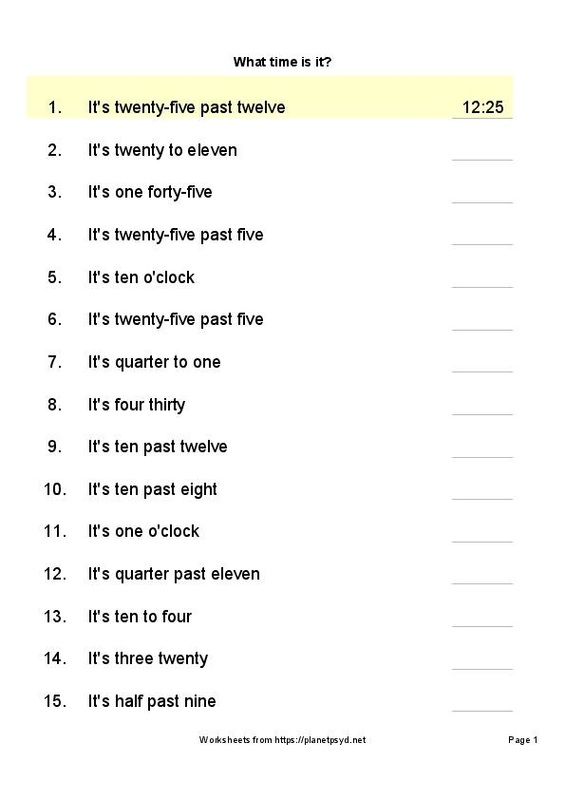 This is a very good exercise to learn the clock. 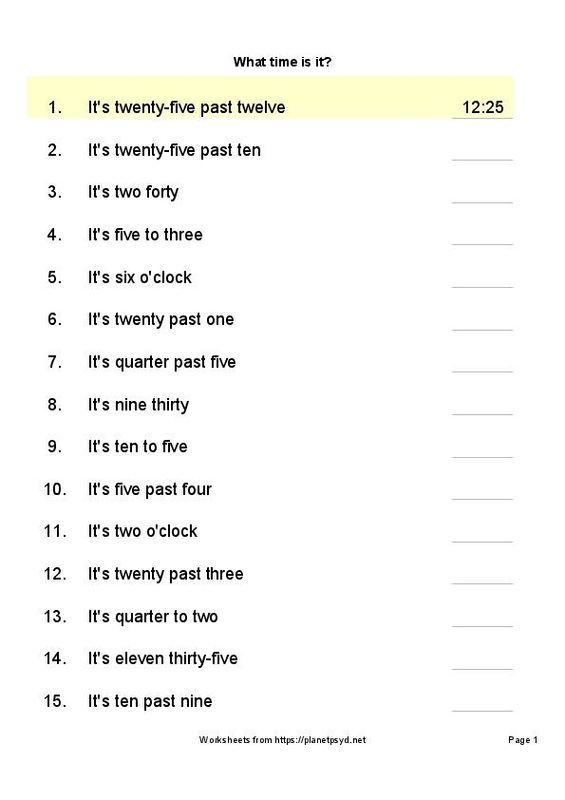 Children will have to think in a variety of ways in order to write the digital value of the clock. 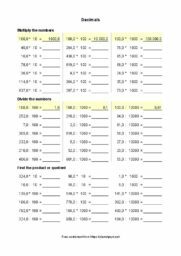 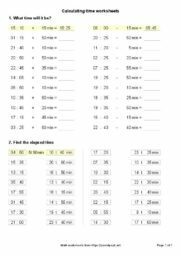 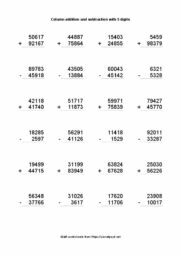 Doing one of these worksheets periodically will give a very good understanding of the clock.